Imagine the problems of a typical suburban teen: Calculus test? Girlfriend issues? Not sure what to wear to prom? Most people don’t picture heroin addiction. But the model family was shattered when they learned their son, Billy, a popular student at Mills Godwin High School, was addicted to drugs. After struggling for several years to stay sober and kick the addiction, Billy passed away from an overdose on April 12, 2016. Billy Derr’s addiction wasn’t an isolated problem. Because drug addiction can easily seem like a disease that doesn’t happen to families like ours, many people gloss over the multitude of news stories about the rise of opioid and heroin use. Perhaps it’s easier to believe it’s happening more in socioeconomically disadvantaged communities and regions like Appalachia and the Rust Belt. Indeed, the media has covered drug use and abuse heavily in recent years – and with good reason. • Half of young people who used heroin got started by abusing prescription opioids. • The number of opioid prescriptions nearly tripled over the last twenty-five years, and the United States now accounts for nearly 100 percent of the world’s hydrocodone prescriptions and 81 percent for oxycodone. • The number of Americans abusing heroin nearly doubled from 2007 to 2012, with nearly 700,000 now abusing heroin. • Prescription opioid overdose deaths rose 44 percent between 2007 and 2015. • Heroin overdose deaths rose more than 600 percent between 2010 and 2015. • Fentanyl deaths rose 367 percent from 2007 to 2015. • More than 500 people went to an emergency room from a heroin overdose in the first four months of 2016, a 250 percent increase over 2015. Each of those statistics has a name, a face, and a family. The good student and multi-sport athlete from a good neighborhood died three years ago of a heroin overdose in the bathroom of a local grocery store. Dawson struggled with drug addiction for several years and had been, by all accounts, in recovery when he relapsed and overdosed. To many, it seems illogical that a healthy, happy kid could transform into a heroin addict. But scientists – and parents – see it all too often, and it’s surprisingly easy to do. Derr believes Billy’s addiction may have been triggered by prescription medication he received after a car accident. 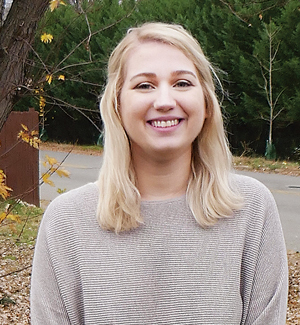 Valerie Murphy works at Chesterfield SAFE, an organization committed to the prevention and reduction of substance abuse. “It can start in your medicine cabinet,” said Valerie Murphy, grant coordinator at Chesterfield SAFE, an organization that works to prevent and reduce substance abuse. SAFE research shows kids as young as middle-school-age are misusing prescription drugs, particularly painkillers or ADHD medication. And many young people mistakenly believe that if it’s a legal substance, it must be okay. But then they can’t stop using. Omar Abubaker, MD, PhD, is an expert on pain management after surgery. His son, Adam, died of a drug overdose in 2014. 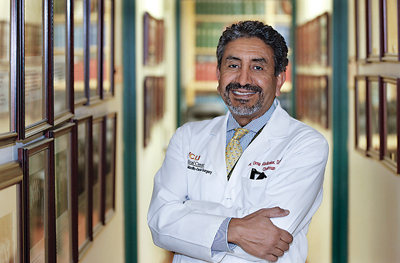 Omar Abubaker, MD, PhD, chair of oral and maxillofacial surgery at Virginia Commonwealth University, is an expert on pain management after surgery. Sadly, he’s also a parent who could not save his son, Adam, from addiction and an overdose on Sept. 30, 2014. 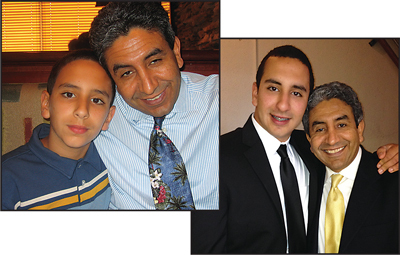 After Adam’s death, Dr. Abubaker turned his energy to learning everything he could about addiction, drawing attention to the problem and advocating for treatment options. Adam Abubaker was a volunteer firefighter and studying to become an EMT when he died at twenty-one. Dr. Abubaker advises parents to take an active role in managing pain medication for their children. heroin, at about five dollars a hit, is considerably cheaper. Why are opioids so widely available? A generation ago, patients who had routine procedures like wisdom teeth removal were given Tylenol. Today, however, several things have changed: big pharmaceutical companies wield a lot of power; the Joint Commission (a nonprofit organization that accredits health care organizations) requires certain standards for pain management; and physician pay is often connected to patient satisfaction scores (conceivably, a patient who doesn’t feel his pain is being managed correctly could complain). 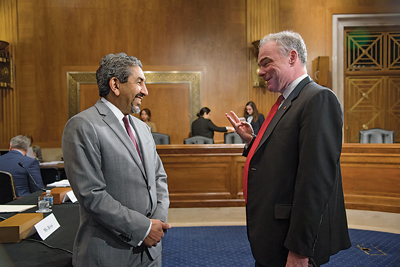 Pictured here with Senator Tim Kaine, Dr. Abubaker presented at the U.S. Senate Committee on Health, Education, Labor, and Pensions regarding his healthcare policies and educational efforts. Even with all the media attention and the reality that nearly everyone knows someone – a friend’s child, family member, neighbor – with a problem, there is a stigma associated with addiction. In the past, those with a substance use problem were considered weak or even immoral. But scientists now believe that addiction is a chronic disease that takes over the brain. And needs to be managed as such. Honesty Liller, recovering addict, mother of two, and CEO of the McShin Foundation, leads the charge on helping families and communities manage and overcome drug use and addiction. Nobody chooses to be an addict, says McShin’s Liller, who notes that most kids who try marijuana or alcohol aren’t going to get hooked, but you don’t know until it’s too late, and then it’s harder to stop than to keep going. Kids are clever and resourceful at finding drugs. They’re in every school and in many other places, too, says Liller. One Lynchburg family learned too late that their son was receiving fentanyl and other drugs from overseas through the mail. Just as the problem is not simple, there’s no easy solution. The first step is to be aware that your child is exposed to drugs, whether or not he or she tries them. “There are countless lists of warning signs of drug use,” said Liller, who recommended drugrehab.org specifically. Many parents become frustrated with a child who’s lying and even stealing to support a drug habit. Some feel they must sever contact until a child sobers up, and that’s understandable, said Liller. But family support can be crucial to recovery. The first stage is detoxification and medically managed withdrawal. Detox, even with chemical assistance and lots of professional help, is a brutal process. “Going through detox is twenty times worse than having the worst flu,” said Liller. “You really want to die.” Recovery is an hour-by-hour thing. And relapses are all too common. Most recovering addicts end up in a residential treatment program where they can receive group and individual counseling. Because many people finance their substance use by turning to crime, some localities have recognized the need to support them with drug courts that assist non-violent felons recovering from addiction. Those who have been affected by the disease of addiction say expanding treatment options is as important as prevention. The McShin Foundation offers housing for people over age eighteen who are undergoing treatment programs. For teens, the McShin Foundation and St. Joseph’s Villa recently teamed up to expand the McShin Academy, a recovery high school now located on the Villa campus on Brook Road. The school combines a full educational curriculum with counseling and support services for teens addressing substance abuse and addiction. To control the supply side, government and medical professionals also are stepping up. 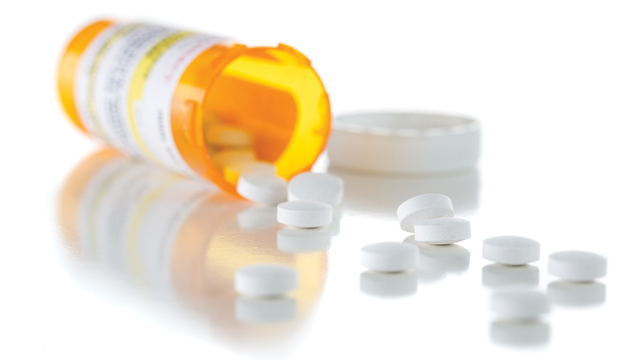 Various government agencies have called for more stringent prescribing of opioids, and Virginia’s Pharmacy Monitoring Program has curbed the doc shopping that some patients engage in to get multiple prescriptions. Attorney General Herring has made solving the opioid and heroin problem a centerpiece of his time in office. For some parents, it’s coming too late. But they hope by sharing their experiences, they’ll wake up others to the issue and save lives. There are many resources to help families in Central Virginia. If you’re not sure where to start, you can ask for recommendations at your child’s school.